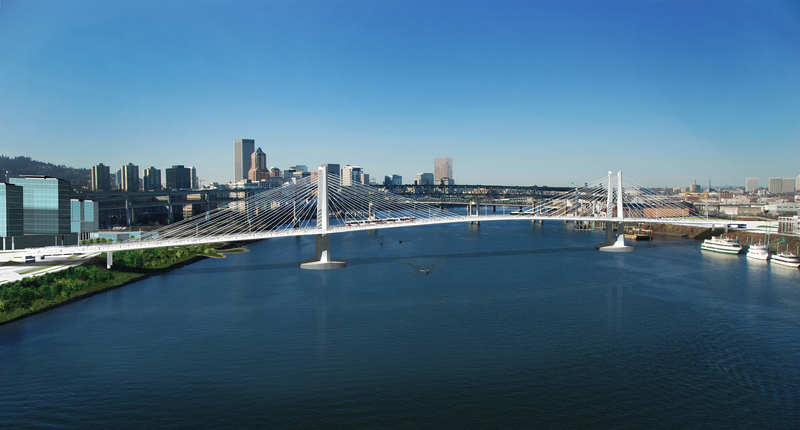 The Bridge Naming Committee unanimously selected “Tilikum Crossing, Bridge of the People” for the name for the Portland-Milwaukie Light Rail Transit Bridge. The committee recommended it to TriMet’s General Manager Neil McFarlane, who thanked the committee for their work and deliberation, and accepted it as the name for the bridge. “The committee spent a tremendous amount of time and dedication to select a name that speaks to our past, our future, and the importance of transit connecting our community,” he said. The unique bridge, now under construction, is the first multi-modal bridge in the U.S. to carry light rail and streetcar trains, buses, bikes and pedestrians, but no private vehicles. The committee of 10 citizens from diverse backgrounds spent about eight months deliberating, which included reviewing nearly 9,500 submissions and thousands of comments from the public. 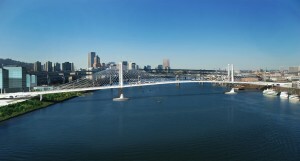 Tilikum Crossing, Bridge of the People is the new name selected for the Portland-Milwaukie Light Rail Transit Bridge. 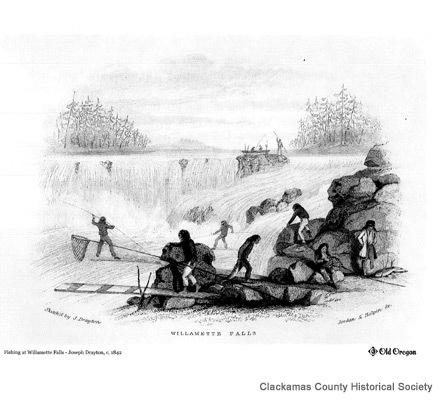 Clackamas County Historical Society photo. explorers, fur traders, settlers and the first few generations of Portlanders. Chinook Wawa is still spoken today. Tilikum means people, tribe and relatives and has come to mean friendly people and friends. Chinookans are indigenous peoples and tribes who have lived near the Columbia and Willamette rivers for 14,000 years. However, Chinook jargon is not the language of any one tribe.